A rebate of 30% of the thermal storage tank and related components, up to $5,000 is available. 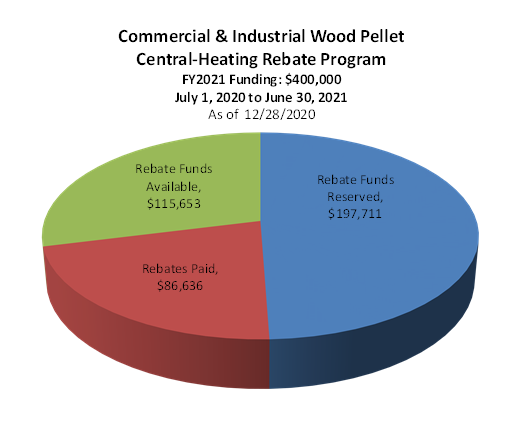 This program is open to businesses, non-profit organizations, educational institutions, governmental or municipal entities, or multi-family residences of 4 units or greater, that do not qualify for a rebate under the residential wood pellet rebate program. For complete program details, please refer to the STEP 1: REBATE PRE-APPROVAL APPLICATION form below or contact Sustainable Energy Division, PUC-ThermalRebates@puc.nh.gov.